Chapter 3: Making Modern Monarchy: The Ambiance of a King, 1893-1920. Chapter 4: Making a Nation: Colonialisms Unlimited, 1918-1940. 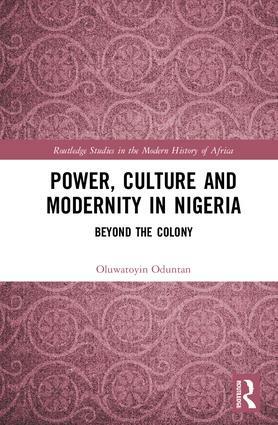 Chapter 5: "Rulers know their Bounds": Disease and Death in Abeokuta, 1937-1950. Tunde Oduntan is an Assistant Professor at Towson University, USA. This series includes in-depth research on aspects of economic, political, cultural and social history of individual countries as well as broad-reaching analyses of regional issues. Themes include　social and economic change, colonial experiences, independence movements, post-independence governments, globalization in Africa, nationalism, gender histories, conflict, the Atlantic Slave trade, the environment, health and medicine, ethnicity, urbanisation, and neo-colonialism and aid.